Into a food processor, add the basil leaves, the garlic, the grated cheese, the sea salt, the black pepper, and the olive oil. Pulse until smooth. Set the basil pesto aside. Put the chopped walnuts on a baking sheet. Place the baking sheet into the pre-heated oven and roast the walnuts for ten minutes. Remove the baking sheet and set the nuts aside. Cook the rotini pasta in a pot of boiling, salted water according to the package instructions. Add the broccoli florets for the last five minutes of the pasta cooking time. Drain the rotini and the broccoli well in a colander. Add the pasta and the broccoli to a large mixing bowl. Add the basil pesto and mix all of the ingredients well. If the pasta appears a little dry, add some more olive oil. Garnish with the roasted walnuts and serve with grated cheese. 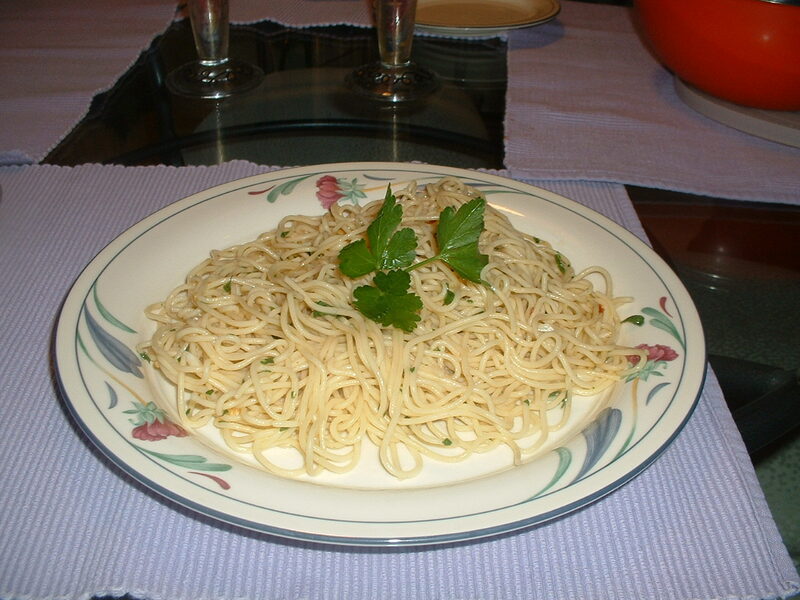 A quick and easy pasta dish that is made with ingredients that you would normally have on hand. This simple preparation makes for a perfect meal for one (especially after working late on a weeknight). Cook the angel hair pasta in a pot of salted, boiling water according to the package instructions. Drain the pasta in a colander. Into a 12-14 inch sauce pan, add the olive oil, the garlic, the crushed red pepper flakes, and the sea salt. Cook on medium low heat until the garlic is lightly browned. Add the pasta to the sauce pan. Cook while stirring for two minutes. Note: If the pasta appears to dry, add some more olive oil. Turn off the heat. Garnish with the parsley. Serve with grated cheese. This hearty meat sauce pairs perfectly with the wholesome rigatoni pasta. Into a 12-14 inch wide, 2 inch deep sauce pan (with a lid), add the ground beef, the ground pork, the ground veal, 1/4 teaspoon of sea salt, and the ground black pepper. On medium heat, cook the meat until browned while breaking it up with a wooden spoon. After the meat has browned, drain it well in a colander to remove any excess grease. Set the browned meat aside. Into the same pan, add the pancetta and the olive oil. Cook on low heat until the pancetta becomes crispy. When the pancetta is crispy, add the onion, the garlic, the celery, the carrot, 3/4 teaspoon of sea salt, the oregano, and the crushed red pepper flakes. Cook on medium heat for 4 minutes while stirring frequently. Add the red wine. Cook for an additional 4 minutes. Add the tomato paste. Stir well to incorporate the tomato paste with the wine and the vegetables. Cook for an additional minute. Add the hand crushed tomatoes and the browned meat to the pan. Stir well. Turn the heat down to low. Add the parsley stalks and the thyme stalks. Simmer partially covered (the lid should be about 3/4 of the way on) for 30-40 minutes. After 30-40 minutes, remove the parsley and the thyme stalks. Taste and add more sea salt and/or pepper, if needed. In the meantime, cook the pasta in a pot of salted, boiling water according to the package instructions. Drain the pasta well in a colander. 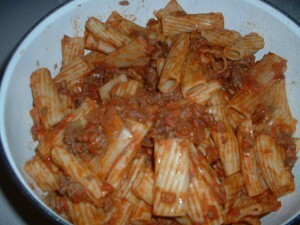 Add the rigatoni and the sauce to the pot that the pasta was cooked in. Cook while stirring constantly for three minutes on low heat. Turn off the heat. Serve with grated cheese and/or ricotta cheese. Using your hands, rub the chicken all over (including under the breast skin) generously with the spice rub. 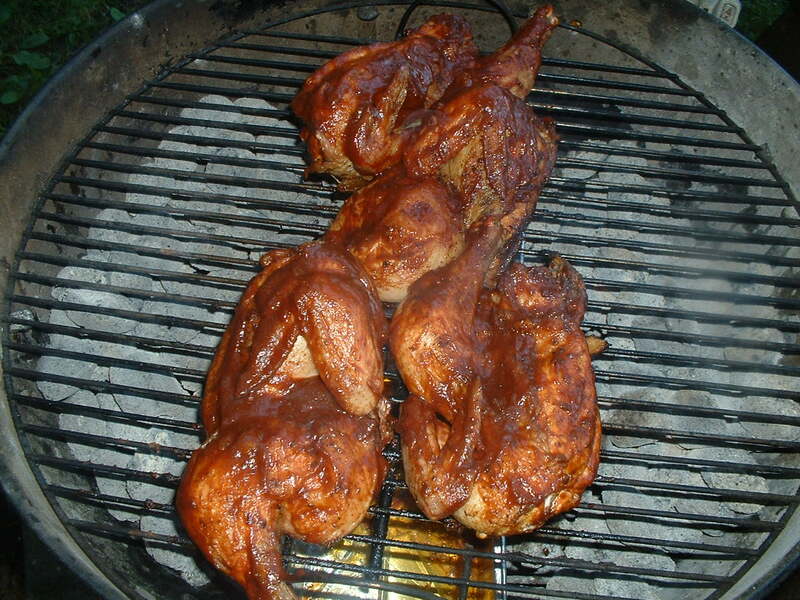 Place the half chickens on the cooking grate of the charcoal grill directly over the drip pans. Close the lid. Let the chicken cook without lifting up the lid for 1 1/2-2 hours. The chicken is cooked when the juices run clear. You can check for doneness by gently inserting a fork between the chicken leg and the thigh. 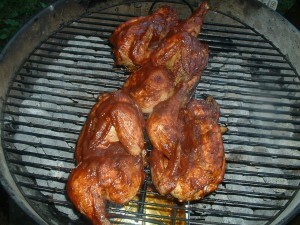 Brush the chicken with the barbecue sauce when the chicken is fully cooked. Otherwise, the barbecue sauce will burn. Let the chicken rest for 10 minutes before carving. Into a sauce pan, add the canola oil, the onion, the garlic, and the sea salt. Cook while stirring on medium heat for one minute. 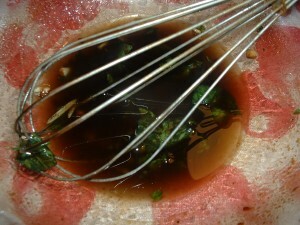 Add the balsamic vinegar, the Worcestershire sauce, and the Sriracha sauce. Whisk the ingredients well. Add the tomato paste and the water. Reduce the heat to low. Cook while whisking for two minutes. Turn off the heat. Taste and add more sea salt and/or Sriracha sauce, if desired. Put in a serving bowl and refrigerate for at least an hour before serving. Combine the flour, the corn meal, the sugar, the baking powder, and the sea salt in a mixing bowl. Mix these dry ingredients well. Into another mixing bowl, add the milk, the canola oil, and the egg. Whisk well. Combine the wet ingredients with the dry ingredients. Whisk well in order to remove any lumps. Add the jalapeno pepper and the scallion. Mix well to incorporate the vegetables with the rest of the ingredients. Grease an 8 or 9 inch pan. Pour the batter into the greased pan. Bake 20 to 25 minutes in the pre-heated oven or until light golden brown and a wooden toothpick inserted in the center of the bread comes out clean. This recipe was improvised when my grocery store did not have any pizza dough or pizza shells. I was in a hurry and could not wait for the in-store bakery to make fresh dough. I saw the naan bread and I decided to substitute that for regular pizza crust. If you can’t find naan bread in your local supermarket, pita bread will work fine. Into a food processor, add the tomatoes, the basil leaves, the garlic clove, a tablespoon of olive oil, a pinch of ground black pepper, and 1/4 teaspoon of sea salt. Pulse until smooth. Taste and add more sea salt and/or black pepper, as needed. Set this tomato pesto aside. Brush the top of each piece of the naan bread with a tablespoon of olive oil. Spread the tomato pesto out evenly on each piece of the naan bread. Place the spinach and the roasted red peppers in equal amounts on the top of the tomato pesto. On each pizza, add four slices of mozzarella cheese on top of the vegetables. 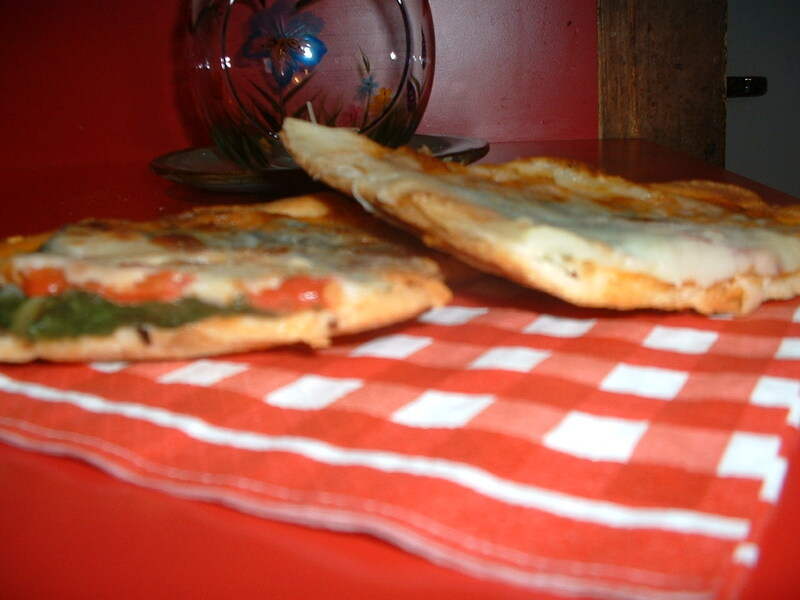 Bake in the preheated oven until the cheese melts and is slightly browned around the edges. Let the pizza cool for at least ten minutes before slicing. This pizza makes for a great hors d’oeuvre. Into a 12-14 inch saute pan (with a lid), add the olive oil. Heat the olive oil on medium heat for three minutes. 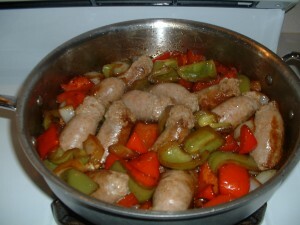 Add the sausage. Brown the sausage well on all sides. Turn off the heat. Remove the sausage to a plate. After the sausage cools for 5 minutes, cut it into about three inch long links. Set the sausage aside. Remove about half of the pan drippings but retain the brown bits of cooked sausage that are stuck to the bottom of the pan. Put the saute pan on medium heat. Add the peppers, the onions, the marjoram, the crushed red pepper flakes, and the sea salt. Cook while stirring for one minute. Add the sherry vinegar. 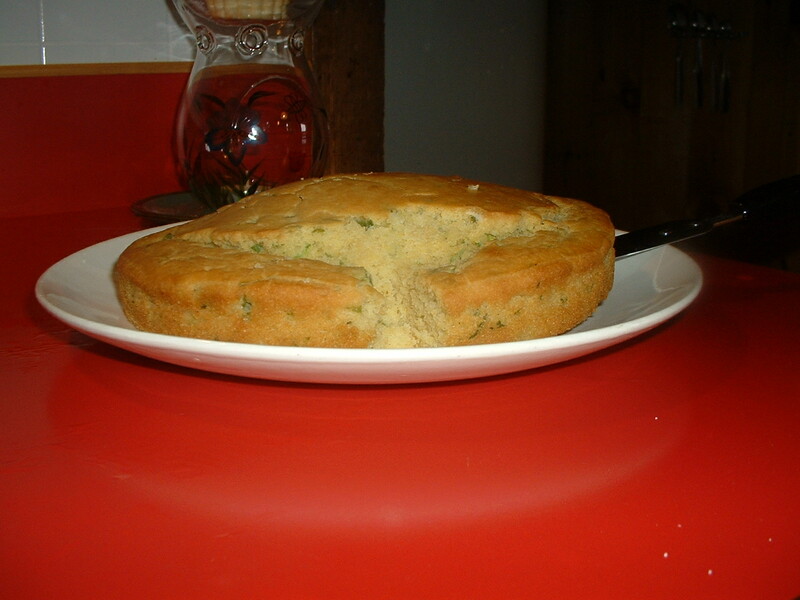 Scrape the bottom of the pan to loosen the brown bits that have accumulated. Cook the vegetables while stirring frequently for three minutes. Add the garlic and the partially cooked sausage to the pan. Cover and simmer on low heat for 15 minutes. Turn off the heat. 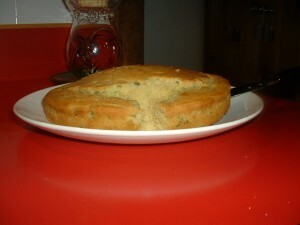 Serve with white rice or in a sandwich on Italian bread. This simply prepared tomato sauce combines both sweet and spicy flavors. Into a shallow sauce pan, add the olive oil and the pancetta. Cook on low heat until the pancetta becomes crispy. Add the onions, the sea salt, and the crushed red pepper flakes. Turn the heat up to medium. Scrape the bottom of the pan while cooking the onion to loosen any of the brown bits of the pancetta that have accumulated. After cooking the onion for two minutes, add the crushed tomatoes and stir well. When the mixture begins to boil slightly, turn the heat down to low. 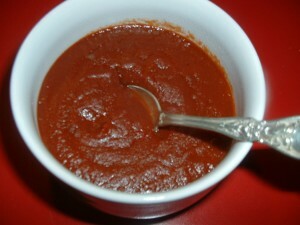 Simmer the sauce partially covered while stirring occasionally for 20-30 minutes. Taste and add more sea salt and/or crushed red pepper flakes, if desired. Serve with your favorite pasta. 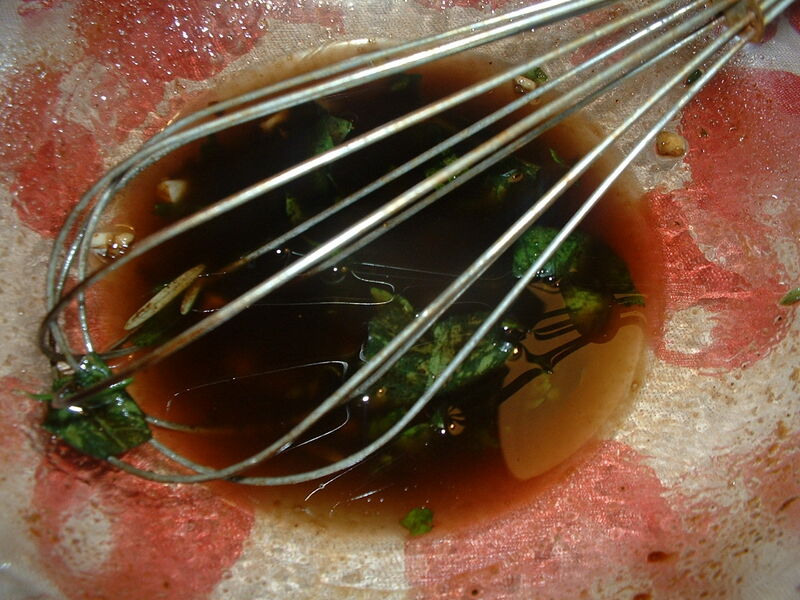 Combine the balsamic vinegar, the olive oil, the garlic, the basil, the rosemary, the thyme, the parsley, the sea salt, and the black pepper in a mixing bowl. Whisk until well blended. Place the eggplant slices into the bowl with the marinade. Mix well. 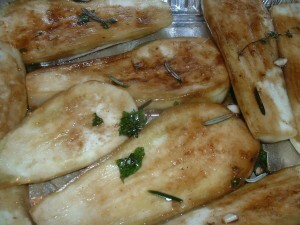 Let the eggplant marinate for 30 minutes. Cook the eggplant on a hot gas or charcoal grill for three to five minutes on each side until the eggplant slices develop grill marks and are slightly browned.